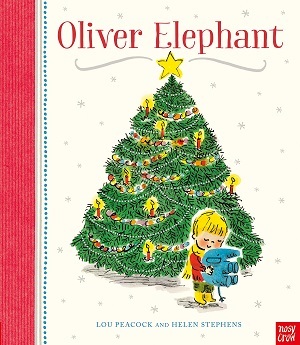 My top pick for the season is definitely this heartwarming Christmassy through-and-through tale about a Christmas present shopping trip, in which mummy has a long list, a pram to manoeuvre, her children Noah and Evie-May, and Noah’s toy elephant. 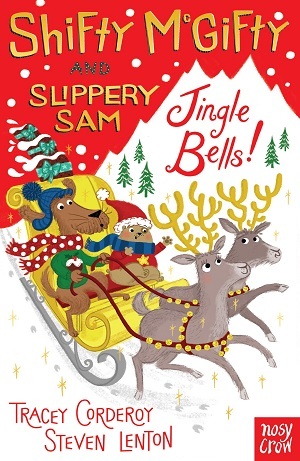 With sparkling rhythmic rhyming, and huge attention to detail in the department store colourwash illustrations, this will make every reader feel that magical Christmas time aura. There’s much to love in the familiar tale of a temporarily lost toy in a large store, but Peacock and Stephens manage to inject their own personality onto the book, with lots of love, expression and minute detail. I love the mittens on strings, the busyness of the store, the flushed faces of the customers, the diversity of the cast, and the wonderful emotion on the face of the mother (tired yet happy), and Noah (small in a world of big things). His playfulness with the elephant, and the frustrated sympathy of his mother is pitch perfect. And of course, there’s a happy Christmas ending. You can buy it here. 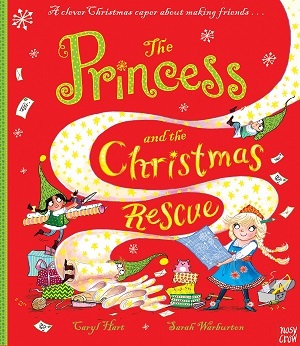 This hilarious picture book for Christmas manages to combine fairy tale allusions (it is about a princess after all), feminism (girl engineers), and an ironic Amazon-like present-picking machine all in a neat sing-song rhyme. But mainly, this is an adorable rhyming picture book about finding friends. Princess Eliza loves to make things, but her parents are worried at her lack of friends. When the Christmas elves run into trouble in the busy lead-up to Christmas, Eliza steps in to help, and finds that as well as being a super duper inventor, there’s fun in friendship too. Exquisite illustrations in bright colours that mix the essence of Christmas (ribbons, elves, cosy armchairs by the fire) with ‘Wallace and Gromit’ type inventions. Christmas bliss. You can buy it here. 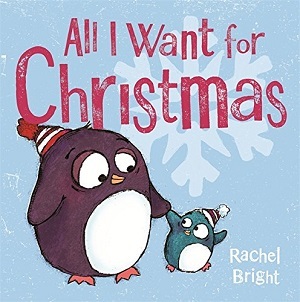 Rachel Bright is superb at wrapping moral lessons in her books, and this Christmas treat is no different. It’s not an illustrated version of Mariah Carey’s Christmas hit, but it does carry the same message – as well as cookies and trees, and presents and roast dinners, what this Big Penguin really wants is love. Yes, this is about penguins, not humans. Shown first in a snowglobe on a mantelpiece, the story opens up to explore the penguins’ world in the lead up to Christmas. Cute illustrations, and a fabulous spread in the middle that shows miniature vignettes of Big Penguin and Little Penguin busy doing the ‘hundred things’ to get ready, this is an adorable read. You can purchase it here. The next title also features a family with a missing adult, but here they are human, and there is a more pronounced emphasis on families who can’t be together at Christmas time. Mia’s dad can’t come home for Christmas, but luckily for her, she stumbles across a magical postbox with a door to The Reindeer Express, which manages to convey her to her father for a Christmas hug, and still be back with her mother for Christmas. Karl James Mountford’s illustrations feel globally Christmassy, with muted earthy tones, in particular a profusion of rusty red, as he conveys a timelessness to the images – from the dress of the people, which feels old-fashioned, to the takeaway cups of mulled wine, which feel up-to-the-minute. 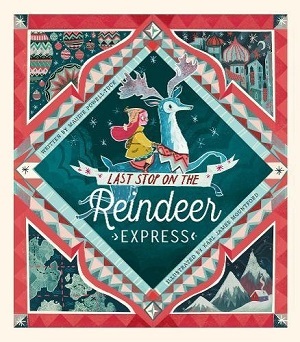 With maps and explorers’ articles, and a globe-trotting reindeer, the book feels as if it’s digging into a magical time of exploration and discovery, as well as showcasing a homely setting with snow outside the window. Our heroine wears glasses and is an eager and curious child. But what sets this book apart is its production. With thick pages, peek-throughs and cut-outs, and the most tactile cut-away cover, this truly feels like a gift. Romantic and yet curiously real. You can purchase it here. 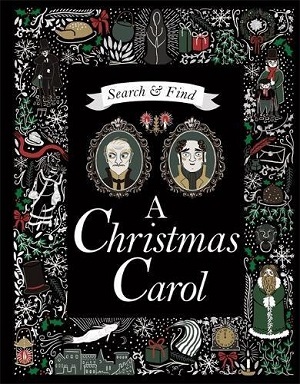 Another beautifully produced book, with silver foil on the cover, this classic Christmas story is retold with search and find scenes – both the characters and setting are illustrated at the outset, with a brief summary of author and text, and then the story is told through double page illustration scenes, alongside an illustration key, which asks the reader to find certain people and objects (such as five red robins, a wistful scrooge, and the ghost of Christmas yet to come). Through minimal text but large illustrations, both the characters and their narratives are revealed. It’s clever, and wonderfully appealing, in that it’s a book that could be shared, and certainly pored over, as each scene is so wonderfully detailed. Answers, are of course, at the back. You can purchase it here. Three chapter books for you, each from an established series, but this time with their ‘Christmas theme’ stamped all over the cover and narrative. My testers (little kiddies) adore all three series, and couldn’t wait to read them – so they won’t be under my tree! I have the distinct feeling that the children and I like this book for very different reasons, but that’s the joyous element of this book, which is written to be shared by being read aloud (with references to hugs, and an authorial voice). Polly and Neil (her real puffin) are all ready for Christmas, but it’s only November, and such a long time to wait. And then things start to go wrong. Will it ever be Christmas? Will the puffling hatch? Will Wrong Puffin find his way home? 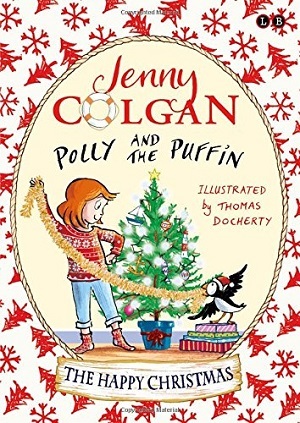 There is a huge infusion of wit and personality here – from Polly’s moods, and her quirks (from calling the toy puffin Wrong Puffin, to her grumpiness with her real puffin, Neil) to the illustrator’s humour (see the contented yet oblivious cat lying on the sofa, the wine bottle from Christmas Eve and bleary parents at Christmas Day morning). The narrative voice is warm and comforting, just right for Christmas Eve. There are loads of extras at the back too – recipes, activities and jokes. Buy it here. This pair of cake-baking, crime-solving dogs are never far from mischief, and the delight of these little books is that they each contain three stories in one book – good for short attention spans and first readers. Only the first story is Christmas-themed, with the delightful Santa Paws, but the other two tales are equally strong and eventful: Sea-Monster Ahoy! and Lucky Cat. With plentiful illustrations in two-tone colour, lots of lively language, and fast plots, these are lovely little bursts of entertainment. You can purchase it here. 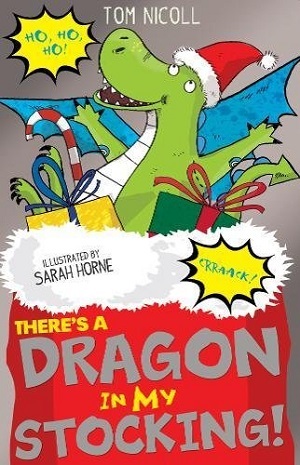 Lastly, and for slightly older readers, this Christmassy addition to the fabulous ‘There’s a Dragon in my Dinner!’ series continues the adventures of Eric, who was first introduced when he discovered a mini dragon (Pan) in his takeaway dinner. In this funny sequel, Pan’s parents arrive down the chimney. Looking after one dragon and stopping fires was bad enough, but now Eric has three on his hands, and his parents are entertaining on Christmas day. When disaster hits their lunch plans, it might just be that three little dragons come in useful. As well as being huge fun, Nicoll captures the family personalities beautifully, especially annoying Toby from next door, and his Mum (complete with mobile phone!). You can buy it here.